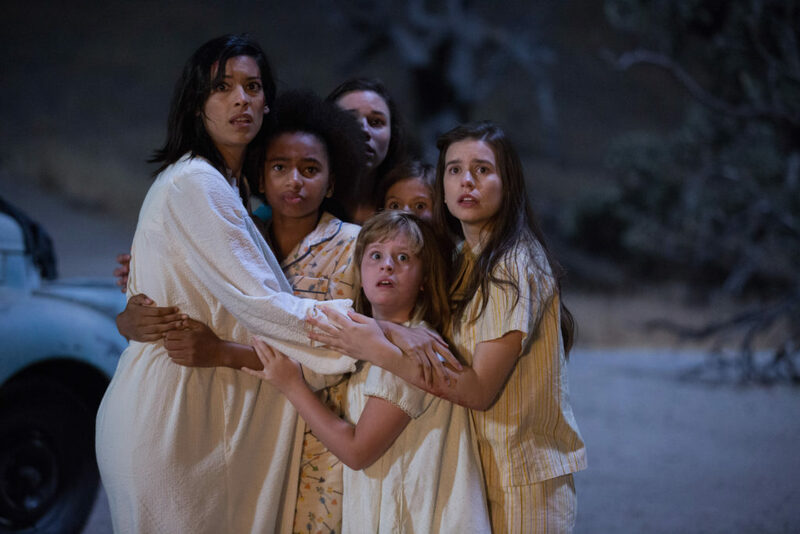 “Annabelle” is back and this time around she has a host of characters to choose from but picks the disabled Janice (Talitha Bateman) to possess in “Annabelle: Creation.” Janice is among six orphaned girls and a nun allowed to stay with the Mullins whose young daughter was killed and took up residency inside the weird looking doll. Although formulaic and cliché in its approach to summoning up shrieks and screams, audiences will have fun with this one. Unlike “Annabelle” where audiences became emotionally invested in Mia (Annabelle Wallis), director David F. Sandberg relied heavily on special effects to generate results. Anthony LaPaglia, Miranda Otto, Stephanie Sigman, and Lulu Wilson also star. “Ingrid Goes West” is very successful in achieving its goal of making the main character, Ingrid (Aubrey Plaza), appalling and eliciting statements of dismay from moviegoers when the film didn’t end as they wished. The world of social media and Pop culture is the backdrop for this disturbing satire involving attempted murder and attempts to live vicariously through others. After serving time in the loony bin for attacking a so-called friend at her wedding, media stalker Ingrid heads west and latches onto Instagram star Taylor Sloane (Elizabeth Olsen). Ingrid leaves no stone unturned in making life miserable for Taylor. Directed by Matt Spicer, the film also stars O’Shea Jackson, Jr. and Wyatt Russell. O’Shea Jackson, Jr. as Dan Pinto, an aspiring actor and Ingrid’s ( Aubrey Plaza) landlord. “The Nut Job 2: Nutty by Nature” makes strong statements about corrupt politicians, greed, gentrification, and the environment, but that’s the extent of its appeal. Although animated, in many instances the characters lack luster. Directed by Cal Brunker, “Nut Job 2” was able to gather enough nuts for a second go round, but don’t expect another one. Surly Squirrel (Will Arnett) and animal friends set out to take back their home, Liberty Park, that is to be bulldozed and made into a dangerous amusement park. Katherine Heigl, Jackie Chan, Maya Rudolph, Bobby Moynihan, Peter Stormare, Bobby Cannavale, and Isabela Moner are among the featured voices.